Fitbit unveiled the newest product in the company’s fitness lineup this morning, the Force watch. The device has a sleek, minimal look to it, letting users track their daily activities, while also tracking sleep cycles. The watch automatically syncs to the the manager application running on your device, which then syncs to the online tools Fitbit provides. This includes trackers for calories, steps taken, floors conquered, and a lot more. With tracking comes competition, so competing against your friends that also have a Force is a great way to motivate yourself to get out there and stay healthy. Another thing you have to give Fitbit credit for is its ability to make sure the device works with current smartphones, including ones that run Android. We wish Nike did this with the Fuelband, but we are still waiting for their support. The Force watch will go on sale for $129.95, starting in about 2-3 weeks from many different retailers. See below for more details. 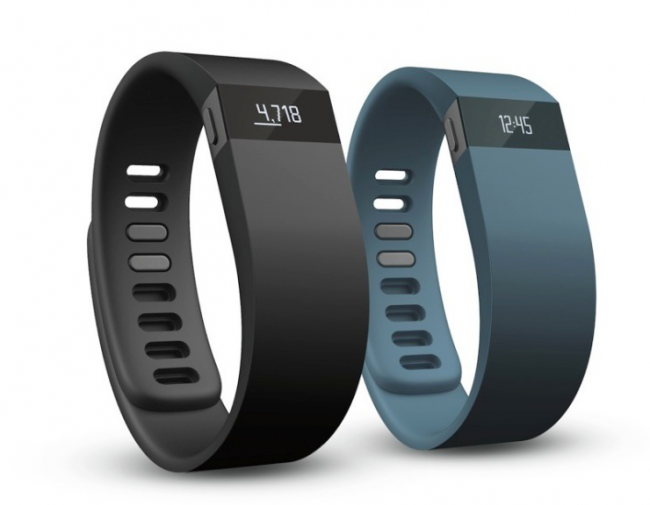 SAN FRANCISCO – October 10, 2013– Fitbit, the leader in the fast-growing Connected Health and Fitness category, today announced Fitbit Force, a sleek, advanced, high-performance wireless activity and sleep-tracking wristband. Following on the success of Fitbit Flex, Fitbit Force has a highly visible, OLED display that provides instant access to all your activity stats right on your wrist, keeping you motivated throughout the day. In real time, Fitbit shows you: steps taken, distance traveled, calories burned, active minutes as well as floors climbed. Force also monitors your sleep, can wake you with a silent alarm, serves as a sleek watch and can even provide incoming call notifications. * Fitbit Force is the first and only in its category to be able to capture and display all of these stats on your wrist, as well as wirelessly and automatically sync them to leading Apple & Android smartphones and your computer, helping you push further to achieve your fitness goals.